We Lived Near The Base Of Yosemite Falls For 15 Years...more on that in a minute. Yosemite National Park history stretches back many thousands of years - eons before the formal establishment of Yosemite as a National Park. Geological forces compressed and lifted the area, forming the mountain ranges. Glaciers and the accompanying ice fields then cut and scoured the rocks, fashioning Yosemite's unique granite landscapes. 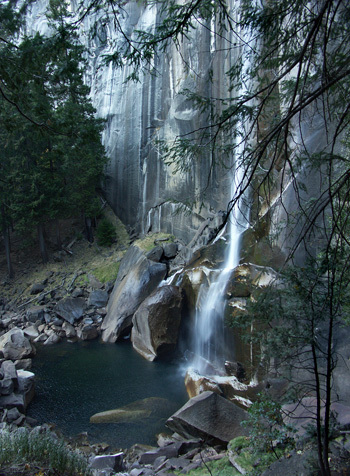 After the melt, the flowing waters would become the rivers, streams, and waterfalls we now associate with Yosemite. The eventual melt of the glaciers allowed the bear, deer and other familiar Yosemite wildlife to move into the region. The early indigenous people would eventually discover Yosemite Valley and take advantage of the favorable summer conditions and plentiful food sources they found there. Yosemite valley would be discovered by white explorers who enthusiastically reported to the world about this remarkable place...opening the way for other adventurers and entrepreneurs. More and more people came to explore and to sight-see. 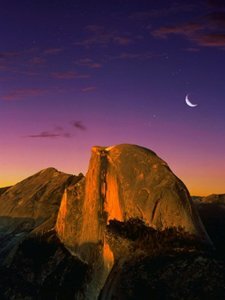 Places for them to stay and expert guide services like those run by George Anderson, the first man to climb Half Dome, were soon established. “Caretakers” for the park like Galen Clarke and later James Hutchings, were named in those early years, and these men gave their best efforts in managing and administering things without much real authority or any ability to enforce their efforts. Soon after, Yosemite National Park was established and safely set aside for "the world". An expressed intent was to protect and conserve the regions unique natural wonders during an age of the wanton exploitation of natural resources. This was a radical new concept at the time...and was very unpopular with some! President Teddy Roosevelt would travel to Yosemite expressly to meet with John Muir whom he admired greatly. Their conversations during Roosevelt's visit would lead to numerous sweeping conservation efforts by the president. 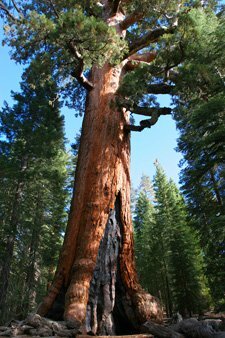 In the scheme of things, “Human” Yosemite National Park History comprises an insignificant fragment of time within the geological timeline of Yosemite National Park’s ongoing “Natural History”. Despite this, it is understandable that we as humans may find human history a more interesting saga than the story of Yosemite's geology. The "Yosemite experience" certainly has generated many interesting and little-known human stories over the years since men first discovered it. 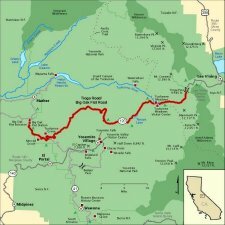 As our Undiscovered-Yosemite.com website continues to develop, it will serve as one of the few sources available on the web for many of these unusual "undiscovered" stories of Yosemite! 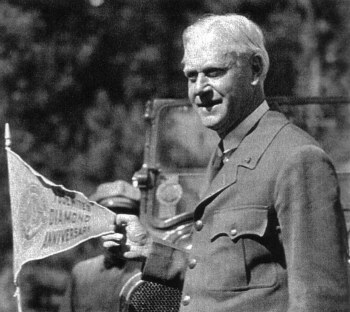 The Hubbard's were a Park Service Family. 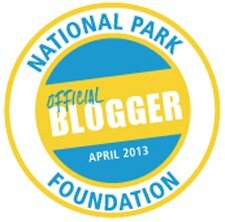 My father, Doug Hubbard, fulfilled his dream of a career with the National Park Service after World War II. 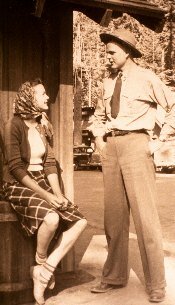 He met Mom while both were working in Sequoia and they were married shortly afterward. Later he would become Chief Park Naturalist in Yosemite. Yosemite is where I was born, and where I grew up. Amongst his accomplishments in Yosemite, Dad is perhaps best known amongst the National Park Service Community for the Pioneer History Center in Wawona. To this day, insiders refer to his project, (which involved collecting, moving and conserving the historical buildings from around the park), as “Doug’s Berry Farm”. This was a fun tongue-in-cheek comparison to the better known Knots Berry Farm in Southern California. The historic Wawona Covered Bridge was collapsing, and the thinking at the time for many was to just let it. Fortunately though, a new and forward thing Park Superintendent named John Preston gave his approval to my father to do what he could to save it. Their successful effort to get it done is a remarkable story of ingenuity and innovation which you can read about here. The Awani Press was established by my parents and a number of books were written in response to the need for materials for those who came to visit the park. 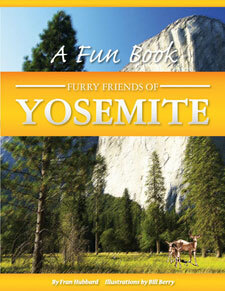 My mother wrote children's books about Yosemite's animals and the Miwok Indians. 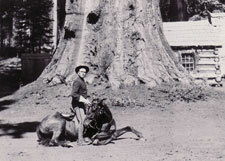 My father's interests remained focused on Yosemite's early pioneers. 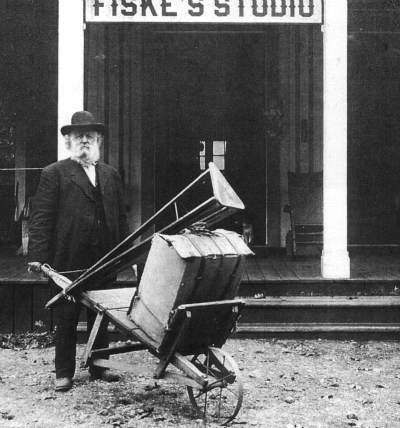 The Hubbard family’s 15 years in Yosemite valley allowed time for the collection of an interesting library of Yosemite-related books and photographs. This website is a result of a fond connection to Yosemite that I feel to this day. Yosemite may well be one of the most photographed places on earth, and Yosemite’s first photographers were a breed unto themselves. They were a combination of mountain man and artist, hauling bulky and heavy equipment through the wilderness to wherever they needed it. Glass plates were coated with photo emulsions in their dark tents and wagons. Multiple exposures were regularly required on separate plates in difficult lighting conditions, and the exposed glass had to be transported back with extreme care. 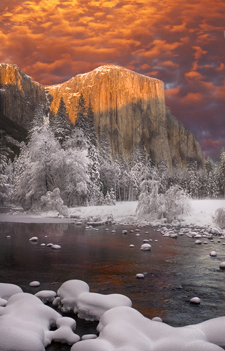 Thanks to my father’s collection of historic Yosemite photographs, you will see images on this website that you have never seen anywhere else. What you find here represent only a fraction of his collection, and other unique historic photographs will accompany new pages as they are written. Be sure to subscribe to our RSS feed by clicking the button at the top of the page for notice of ongoing updates to this site. 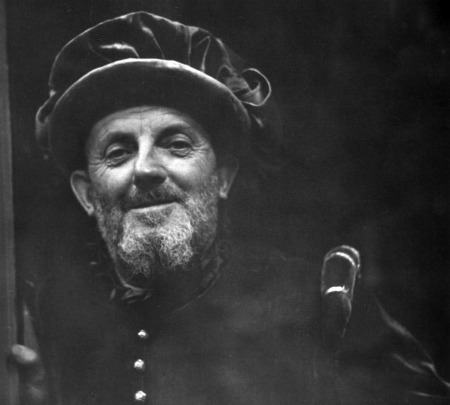 Ansel Adams was not only an extraordinary photographer, but he was an accomplished classic pianist and a thoughtful and lyrical writer. A legacy of his continues on in Yosemite every Christmas as the Bracebridge Dinner at the Ahwahnee Hotel. With the permission of the Ansel Adams Trust, Ansel's historic Christmas dinner program from 1954 is reproduced here for the first time. Read all about the history of the Bracebridge at the Ahwahnee Hotel . The gouging and scouring actions of glaciers and their ice fields during the last Ice Age formed the unique scenic wonders and landscapes that we associate today with Yosemite Valley and the Yosemite High Country. Thus begins the Yosemite National Park History timeline. For the geologist, the indicators of the glacial activity that formed the Yosemite that we know today, can still be seen amongst the lakes and mountains of the higher elevations. The end-point of this massive ancient glacier exists today for every visitor to the valley to see for themselves in the piles of rock that were dumped by it as it melted. The glacial moraine, (as it is known to geologists), lies on the floor of the valley at its western end. Yosemite’s waterfalls exist as we see them today because of the difference in the speed of the cutting action between the faster and stronger flow of the valley’s Merced River, and the weaker and slower rivers and streams that now plunge from the edge of the valley as waterfalls. 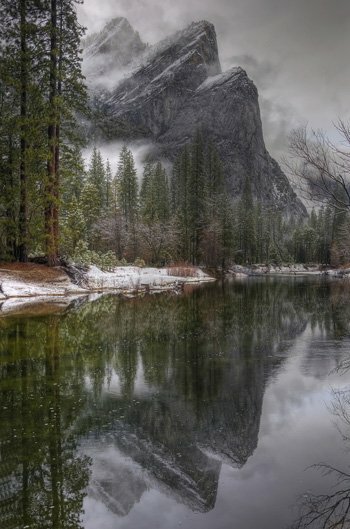 Before this process began, Yosemite's rivers and streams flowed at similar elevations. Furry animals and birds moved into the valley when the ice melted, but the fish could not reach the high country because of the waterfalls. 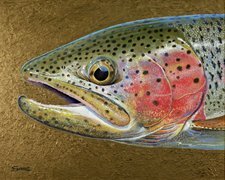 The Fishing Yosemite page tells an interesting story of how game-fish were re-established throughout the park and discusses each of Yosemite's fish varieties. Specific information, suggestions and tips for fishing yosemite successfully in the high country of Yosemite can be found at Yosemite High Sierra Camps. The Black Bear, Mule Deer, Mountain Coyote, Mountain Lion, Wolf and Grizzly Bear established themselves as Yosemite’s large mammals. The Black Bear, Mule Deer, Mountain Coyote and the Mountain Lion can still be seen in the Park today. 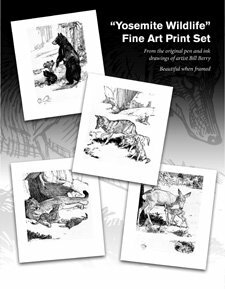 Sadly the Wolf and Grizzly Bear were hunted to extinction within the boundaries of Yosemite National Park. Interestingly, it was not that long ago that the State of California employed a "State Lion Hunter" in an attempt to eradicate all of the Mountain Lions. Read about him at the mountain lion page. 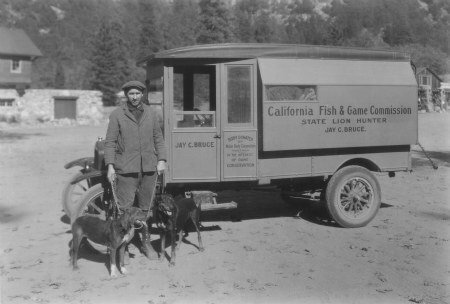 The California State Lion Hunter is another little known piece of Yosemite National Park History! 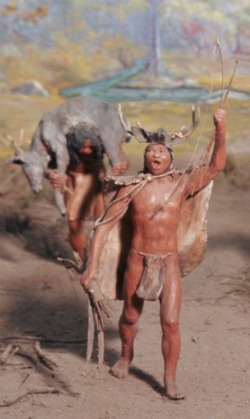 Yosemite’s Miwok Indians were a spiritual people who existed "at-one" with their home and the animals that lived there. 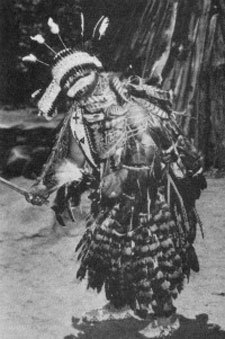 They adapted their customs, clothing, shelter, food gathering and hunting practices to the environment in which they lived. The Miwok are well known for beautiful basket weaving. But their ingenious construction of other necessities from acorn storage structures to obsidian arrow points from the materials available around them, is equally remarkable. 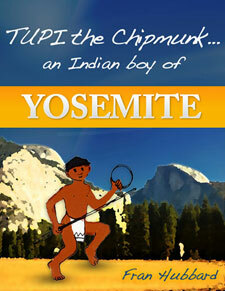 Read all about the Miwok Indians at Yosemite Indians. Forest fires are a natural and beneficial part of the ecology of the forest, and they are an absolute necessity for these big trees! 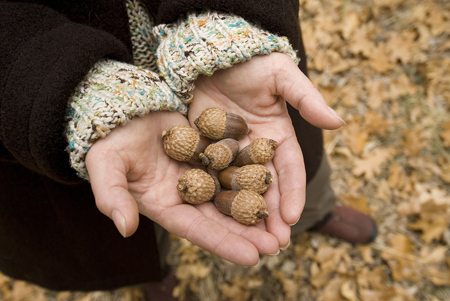 The heat from periodic forest fires cause the sequoia cones to open and broadcast their seeds. Without the fire, there can be no new trees. 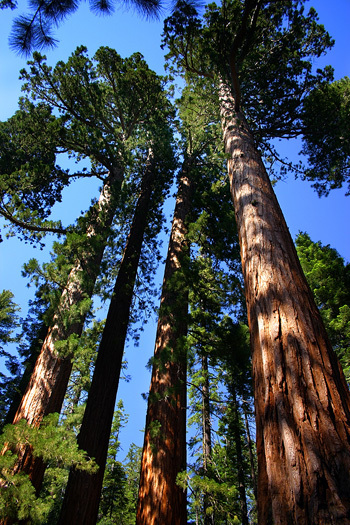 The recent "Yosemite Rim Fire" did not involve areas where the sequoia grow. Naturalists hope that the fires were not so hot that everything including seeds were destroyed in it. Time will tell. Yosemite’s First Rangers were actually U.S. Army Cavalry Troopers. Almost no direction or oversight was provided to these men after Yosemite was first named a National Park and they began patrolling. The army officers in charge, (Yosemite’s first Superintendents), were left largely to their own to operate troopers within what were very loosely established guidelines…All things considered, they did a remarkable job with what they had to work with. Stephen Mather was so instrumental in the establishment of Yosemite as the park we know today that several pages are dedicated to him. 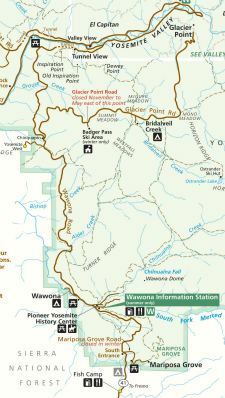 A lengthy, (and very painful), acquisition by the government of the old abandoned mining road running from the eastern border of the park, would lead to its eventual resurrection. Its construction finally linked it with the Big Oak Flat Road that runs from the west, and would complete what we enjoy today as the Tioga Road. 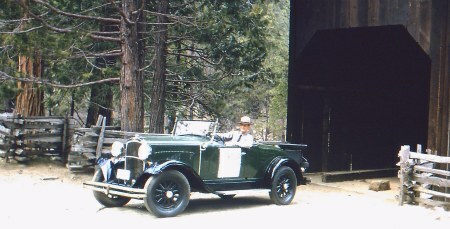 His recognition of the benefit to the future visitor and his automobile, and the successful completion of this project is undoubtedly Stephen Mather’s most monumental Yosemite accomplishment. 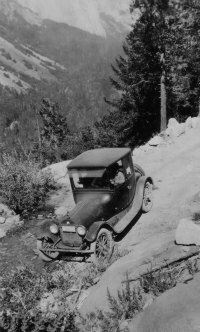 A concise account of Tioga Road History may be found here, but the origin of the Tioga road that we know today is such and important part of Yosemite National Park history that we have also covered it in depth. Those seeking a complete and highly detailed history of the origin of the Tioga road may find it here. These installments have been arranged in chronological order: Sierra Silver Mines...Tioga Road Lodges...Tioga Road Lawsuits, and Mather's Tioga Road. 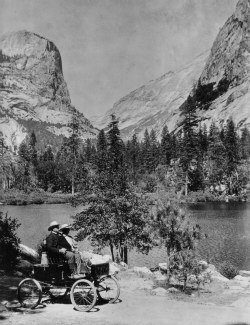 As the first Director of the National Park Service, Stephen Mather recognized that the automobile was "the future", and saw that it would become the transportation choice for visitors to every National Park, not just Yosemite. Yosemite would prove to be his perfect proof of concept! The Old Big Oak Flat Road already entered the park as the old stagecoach route from the west. It would be modernized and would eventually link with the Tioga Road upon its completion in the east of the park. For the first time, these two routes would provide a continuous road for cars running west to east, (and east to west), through Yosemite's High Country. The Old Wawona Stagecoach Route which entered the park from the south, would eventually be updated for the automobile too. A tunnel cutting through the mountain where travelers once suffered on arduous switchbacks was also completed. 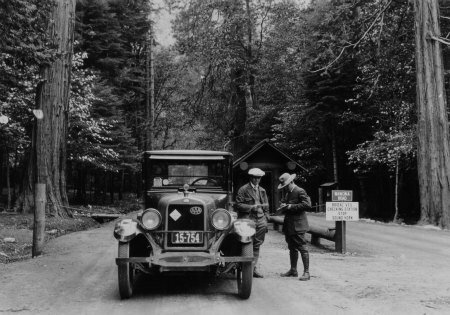 These roads now provide modern means for travel to and through Yosemite today. So...Where Is Yosemite? Complete driving directions from nearby airports and major cities can be found here. 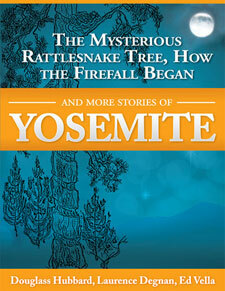 This site is dedicated to telling the lesser known stories of Yosemite National Park History. The textual links found throughout the words of this page will help you quickly find areas of special interest to you. The Old West in Yosemite. Unique content will continue to appear and evolve along with our site. Each page features thumbnail images and links in the right column of the page to take you to other places. 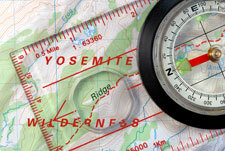 Navigational buttons in the left column will take you even deeper into other areas of Yosemite National Park History. Enjoy! 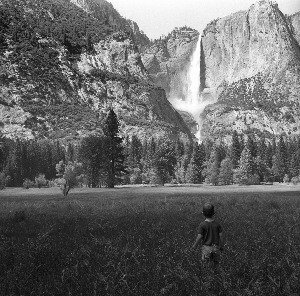 "Yosemite falls was booming that warm spring day when my Dad took this picture of me. The heavy snowfall that fell that winter was melting off and feeding the waterfalls around the Park. It was during this short period of the heaviest runoff that we would re-discover with delight the many smaller waterfalls that would spring back to life around the valley only during this time of the year. It was a magical time for a little boy!" Bill Berry's Art Classics... The Yosemite Animal Prints Are Back! Sierra News Online- Your Source For Local "Yosemite News"! 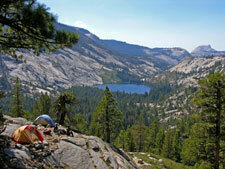 Sierra News Online...Your Best Source For Up To Date Yosemite Area News!